At River Lodge, you need not move far to appreciate extraordinary wildlife, or to marvel at the spectacular riverside view. 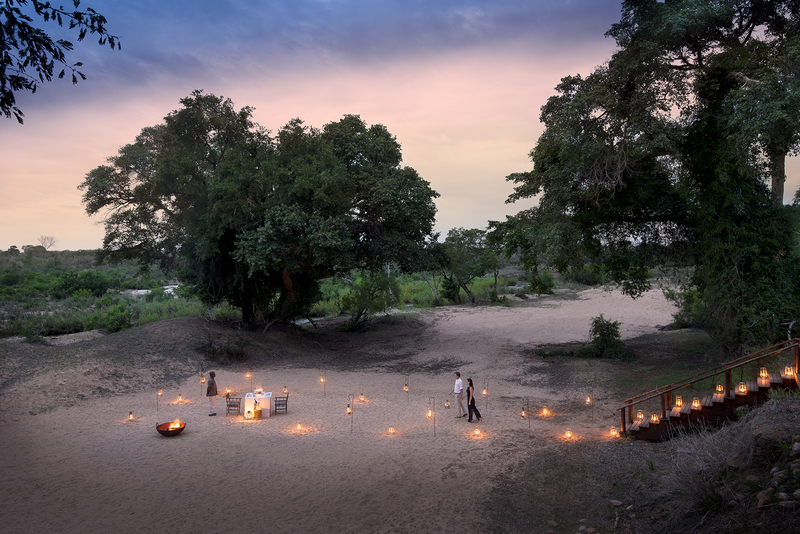 River Lodge has tried to capture the entrancing spirit of the Sabie River, and always smile at that moment when they see their guests forging your own connection with that special energy that cannot be seen, but can definitely be felt. Kingston is equipped with full bathroom and shower facilities, and Africology products to complete your sensory experience. Guy Aubrey Chalkley once set up camp in a majestic centuries-old Leadwood Tree to escape the predators roaming the plains below. 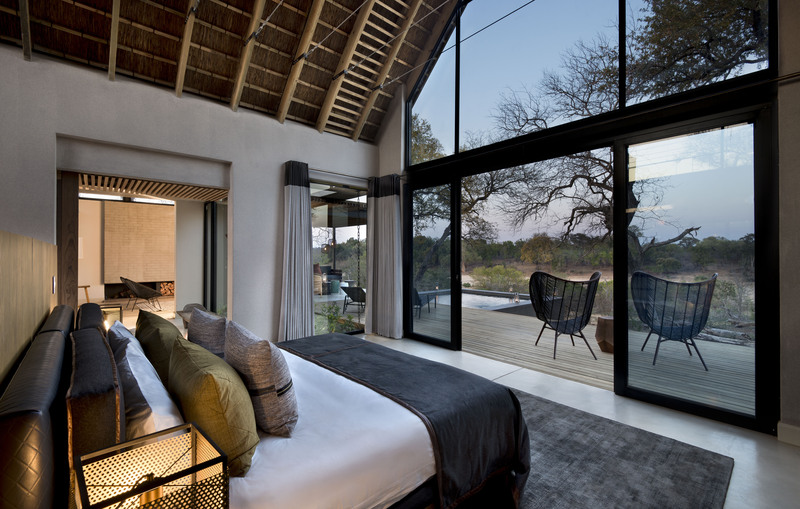 Lion Sands decided that this would be the ideal place to build the ultimate bush bedroom, and so came to be The Chalkley Treehouse. 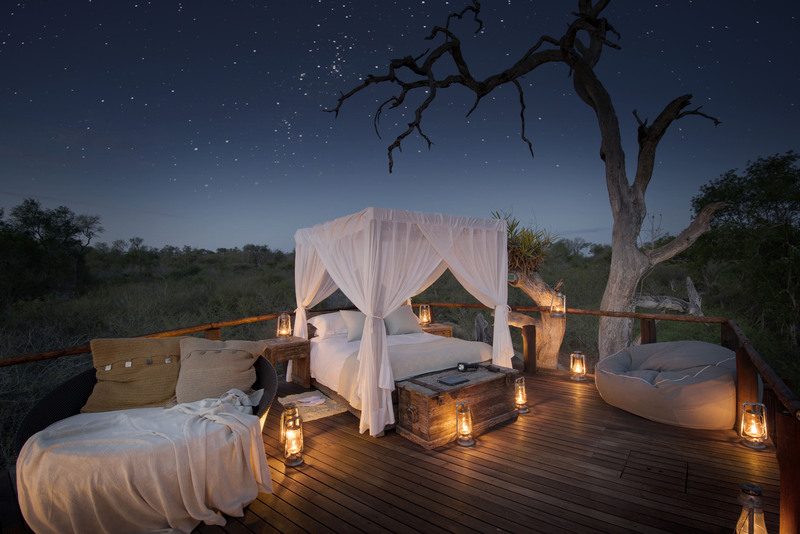 A secure and lavish platform under the stars, the treehouse has all the 5-star comforts, but affords an experience as wild as the animals that roam beneath it. 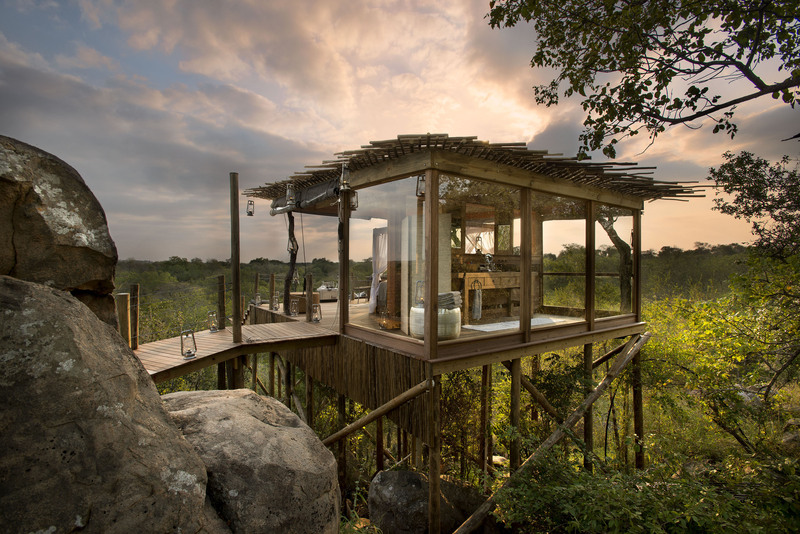 Guests are taken to the treehouse at sunset, where drinks and a scrumptious picnic dinner await.